This is a new take on the chalkboard paint idea. 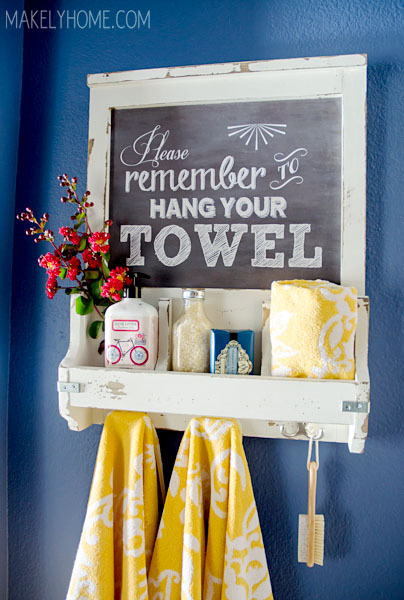 This rack actually has a printed image that looks like a chalkboard, with a cute message and is perfect for those of use that my not have cute chalkboard handwriting. Love it!